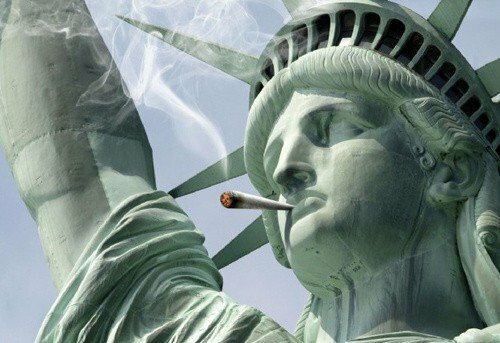 Legalizing marijuana is an idea whose time has come. The recent overwhelming victories for legalizing recreational pot in Colorado and Washington state are just the latest eloquent testimonials to that fact. The hysteria and moral bankruptcy of the Reefer Madness crowd has been exposed for what it is — superstition and silliness, the irrational fear of a non-toxic herb. Let’s tell the truth about marijuana! A December 2012 poll showed that national support for the legalization of marijuana is at an all-time record high. Fifty-eight percent of voters said the recreational use of cannabis should be made legal, while 39 percent said it should remain illegal, according to the poll, conducted by PPP for the Marijuana Policy Project. I predict this process will pick up even more momentum as it acquires an air of righteous inevitability. By 2021, patients from coast to coast in the United States will at last be able to legally choose and use the medicine that is most effective in providing relief from their pain and nausea. By 2030, cannabis will be legal for all adults from coast to coast. Yes, even back in my home state of Alabama, a change is gonna come. And that’s a good thing, because some of the best cannabis I ever grew was under the Alabama sun back in the early 1980s. Only after a majority of the states have medical marijuana laws of their own will the federal government finally come around; it seems there’s a serious shortage of backbone in D.C. when it comes to progressive drug laws. But sanity and compassion is eventually going to happen on the federal level, too. Bills recently introduced in Congress are but the first rays of the new rising sun. Think of it — the sheer madness of arresting and jailing sick people and those kind and brave enough to provide them with their medicine will end. The long nightmare of throwing people in jail for choosing to use a non-toxic plant will finally be over. Those who choose safe, natural cannabis won’t have to worry about having the doors kicked in and their homes raided by gung-ho law enforcement agents who’ve watched a few too many episodes of Cops. I have already been waiting 41 years and your talking another 17 years? OMG I don’t have that long to wait!